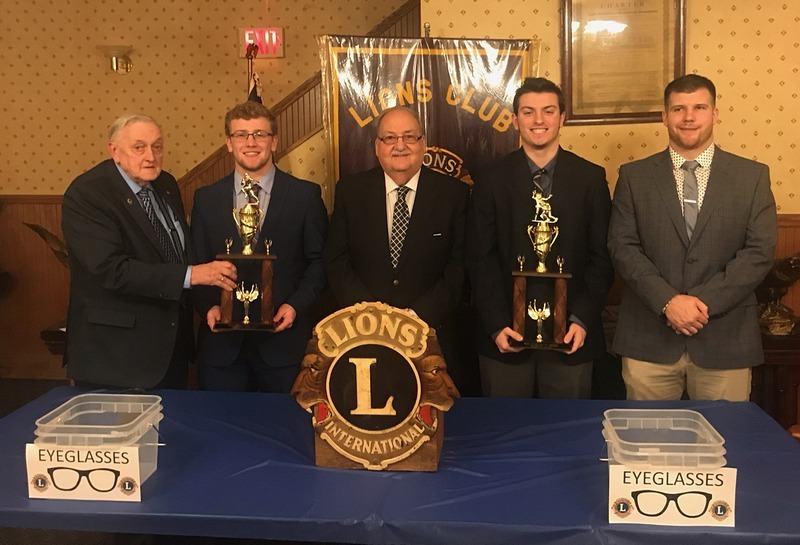 Since 1962, the Mount Carmel Lions Club has sponsored the celebrated Mike Terry Awards, which are given to the outstanding back and lineman of the regular season contest between the Mount Carmel Area Red Tornadoes and the Shamokin Area Indians. The award winners are chosen by a committee of Lions Club members based on the players' efforts during that game. The awards are given in memory of the legendary Mount Carmel Tornado football coach Mike Terry, who tragically passed away moments after his team won the annual Thanksgiving Day game between Shamokin and Mount Carmel in 1961. We congratulate both players on being awarded this prestigious honor. The awards were named after Mount Carmel Coach Mike Terry who succumbed to a heart attack after the Thanksgiving day football game against Shamokin in 1961. "Most of us knew Mike Terry as Mr. Football. He established great fame for Mount Carmel as a town for football. Every coach whose team played against Mount Carmel had the greatest respect for him and his ball club. They would marvel in amazement at how he would manage to achieve such success, season after season, in turning out winning ball clubs for years. His position as head coach for Mount Carmel football teams was a tedious job, but he loved it and he really showed us that. He had to take a great deal of ridiculing by grandstand coaches and others. He would always take it in stride, thinking people had a right to their opinion. He was a man who was very thoughtful toward other people and he would do anything in his power to help his boys find places in life. Because he was such a great man, we shall never forget him." These are the words of Ron Grossman and Wayne Wrona, Mount Carmel High School class of 1963, written after their beloved coach's death in 1961. The '61 Thanksgiving Day game between Mount Carmel and Shamokin had just ended. Mount Carmel came from behind to defeat the host team, 19-13, and Coach Terry was boarding the team bus to take his victory back home. But Coach Terry would never make it onto the bus, suffering a fatal heart attack. Just like that, an already legendary coach was gone at the age of 52. He may have died on that cold, crisp afternoon, but his memories will live on as long as Mount Carmel Area High School plays football. Terry's football days started at Mount Carmel High School. He led his team to the 1927 state championship, scoring the touchdown and throwing for the extra point in beating Bellefonte, the Western Conference champs, 7-6. He was selected to the Big 33 team after that senior season. After graduating in 1928, Terry enrolled to play football at the University Pittsburgh. Not wanting to be an interior lineman, he left Pittsburgh and went to play at Villanova. His decision to leave Pittsburgh for Villanova was a good one. He was a two-time All-American as an end. Back then, they called it the All-America Board of Football. On the board at that time were several prominent names. Three of those names were Christy Walsh, Glenn Warner and Knute Rockne. To be selected by the likes of these men would have been quite an honor. Immediately after graduating from Villanova in 1932, where he played baseball and participated in track as well, Terry took over the position of head football coach at Kulpmont High School. 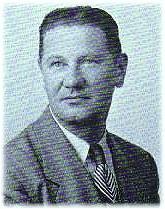 He coached at Kulpmont for 15 years before taking over the program at Mount Carmel in 1947. 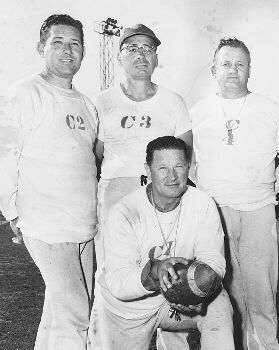 At Kulpmont, he coached the legendary 1938 team that won the state championship, defeating Ferndale, 50-19. He compiled a 94-40-9 record for those 15 years. In his 15-year tenure at Mount Carmel High School Terry won 102 games, lost 54, and tied 10, winning the Eastern Conference Championship in 1954. Not only did coach Terry win football games, but he produced many great football players as well. And the list is long: Ed Kaminski, 1940, first-team All-State; Stan Maddish, '42, second-team All-State; Joe 'Jazz' Diminick, '44, honorable mention All-State; Clem Tromascewski, '45, first team all-state; Bernie Berkowski, '45, second team all-state. All of the aforementioned players were from Kulpmont. And at Mount Carmel: Glen Adams, '48, second-team All-State; Bob Pollock, '52, first-team All-State and All-American; Tom Vershinski, '54, first team All-State and All-American; Dan Ficca, '56, two-time first team All-State and All-American; and Jim Darrup, '58, third team All-State. But coach Terry didn't gain the respect of everyone he met because of his wins on the football field or the number of all-staters he coached. He won everyone's respect because of the man that he was. In the era in which he played football he was considered a huge man, 6'2" tall, 200 pounds. But his kindness and heart were much, much bigger. "He was a mild, kind, soft-spoken man," said his wife, Binnie Terry. "Never was there an unkind word from him or even an unkind thought. That's why everyone respected him so much." Jazz Diminick put it this way: "He was the epitome of coaches. We respected him so much that we would have run through a wall for him. When he coached, he didn't tell you what to do, he showed you what to do." Diminick added, "Before I was to coach my first game at Coal Township, coach Terry called me on the phone to wish me luck. Here was my old coach, who I respected greatly, calling me to wish me luck. That's the kind of man he was." The respect and admiration that players, coaches and fans had for coach Terry was most evident when he was laid to rest. Letters from representatives and senators were received at his home. Players, coaches and many fans, not just from Mount Carmel and Shamokin but from many schools and towns in the surrounding area, came to pay their respects. So when the next Mount Carmel Area football player receives the Mike Terry Award, surely we will be reminded of the words of Ron Grossman and Wayne Wrona, and remember the man. Mike Terry, a coal region legend. Used by permission of the News-Item.